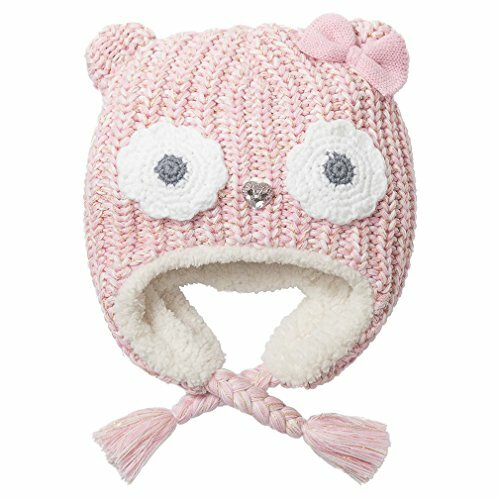 For a Cold Day Out and About Keep Your Ears and Head Warm With This Best Winter Hats 3D Plush Animal Character Winter Ear Flap Hat. 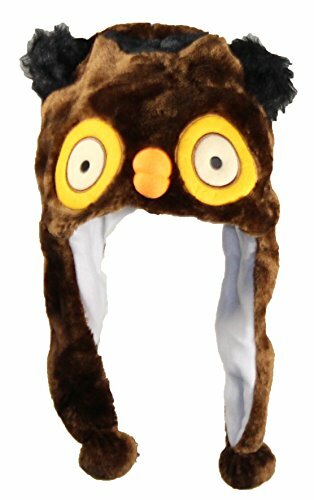 The Exterior Of The Hat Has A Owl Face With 3D Plush Nose & Plastic Button Eyes Surrounded With Fleece Eye Color. Ears On Top. Warm Polyester Fleece To Cover Your Ears. Great Style and Design. Stretchable. One Size. 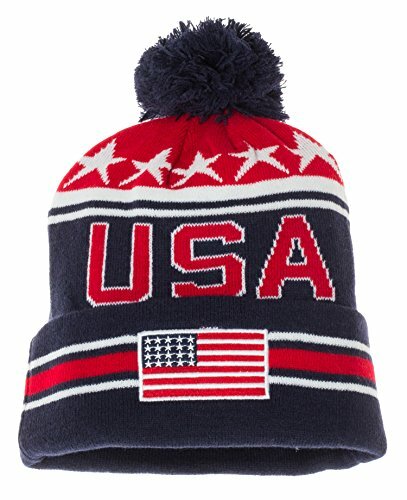 Fits Anyone Up To 23" Head Circumference (Hat Size 7 1/4). Made of 100% Polyester. Hand Wash. Lay Flat to Dry. 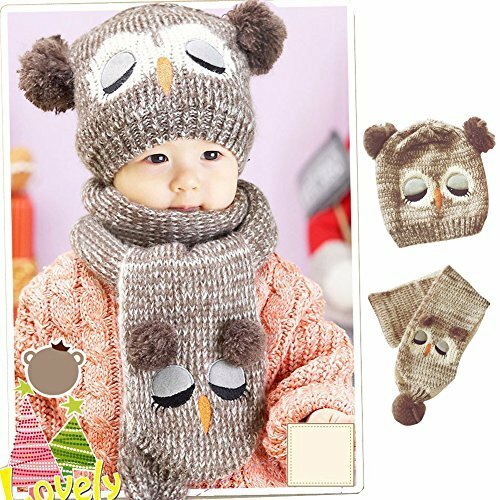 Keep your baby warm in cold weather or wind weather;Show your babies' lovely and cute with this hat;Suitable for wearing or taking photos; Hand wash with mild detergent and cold water. Lay flat to dry. Weight:0.2kg Item Type:Knitted Pattern Type:Animal Department Name:Children Style:Casual/Birthday/Outdoor/Play Gender:Girls,Unisex Material:Cotton,Polyester and Acrylic Thickness:Thick Season:Autumn or Winter Hat type:Hat collar,hat and scarf,knitted cap with ears Featured:Crochet hat for children,hat for kids,kids beanie Suits for:3-8years old girls,bonnet fille enfant Kindly Reminder: 1.Separate cleaning plz. 2.Please allow 1 to 2 cm wide variation due to different measurement methods. 3.Please slight color difference because of the environment light. 4.Please contact us via e-mail. We are dedicated to providing every customer with better shopping services. 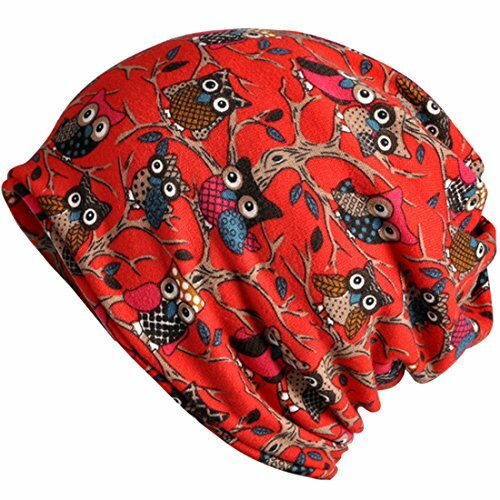 Details: Material:80% acrylic & 20%cotton Dimension: Hat head around 20.8", Scarves Size:5.1"* 45.67" Color:as the picture shown Fit For 1-6 Years Old Baby Kids Season: autumn and winter Features:: ◆Cute owl design,earflap hood skull caps makes your baby looks more lovely. 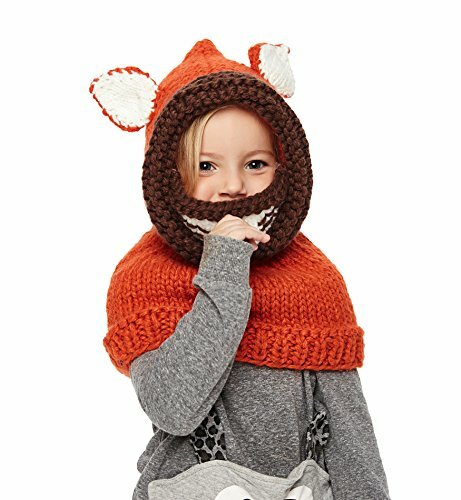 ◆This cute hat is perfect for memorable photography shoots . ◆A necessary beautiful and versatile accessory for the cold winter. ◆Perfect for daily wearing including indoors and outdoors Activities. Such as: sleeping, walking your dog,cycling, skiing,Snowboarding, running, camping, traveling, fishing, hiking, motorcycling and so on. ◆Great ideal for your child as Birthday gift, Thanksgiving Day Gift, Christmas Gift, New Year Gift and so on. Package : 1PC Notice: * The actual color may vary slightly from the online image due to monitor color settings. * Please allow slight measurement deviation for the data. If you have any questions, please email us, we promise to reply within 24 hours and offer you best services.Thanks! 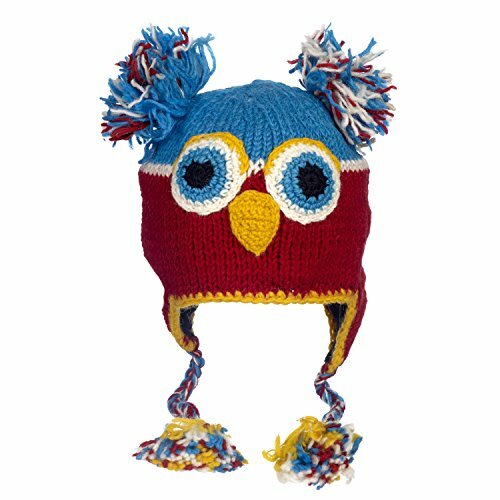 These fun, woollen, fleece-lined animal hats are handmade in Nepal using only carefully selected ethical organisations. They will fit men, women and children over the age of 10. They are made using 100% Australian or New Zealand wool and have a lovely, soft fleece lining making them comfortable, cosy and warm. 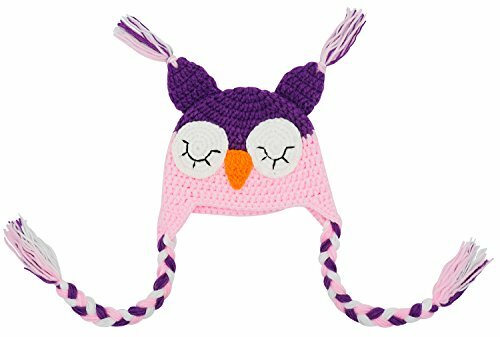 Each hat has ear warmers and long tassels and are guaranteed make everyone else want one! !They are ideal for the cold winter nights, equally chilly days and even on the ski slope! We source every product we sell directly from the families that make them, so you can be assured that they come from ethical organisations and are of excellent quality. 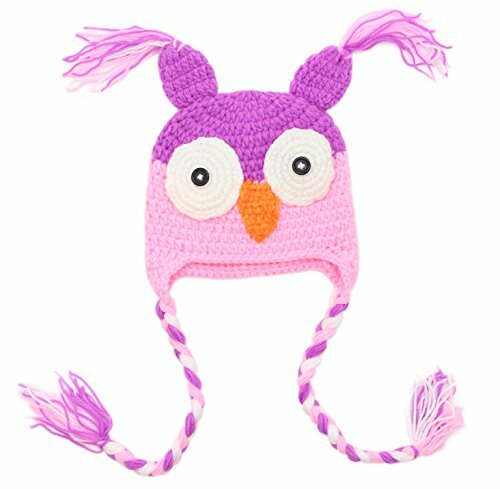 We also sell other animal hats in many different styles, so please have a look at our shop to see the full range. As these animal hats are made from wool, we'd advise treating them like your favourite woolly jumper: wash in a cold, woollen wash or better still, hand wash in cool water. 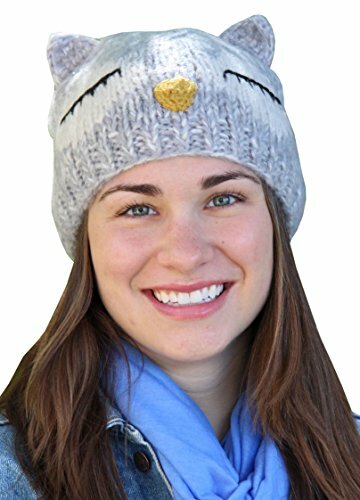 Compare prices on Owl Winter Hat at ShoppinGent.com – use promo codes and coupons for best offers and deals. Start smart buying with ShoppinGent.com right now and choose your golden price on every purchase.